Marty Kaiser and Blake Morrison, Summer School in Bosnia and Herzegovina. Investigative journalism can bring about change and improve people’s lives, said Marty Kaiser and Blake Morrison, two senior editors who lectured at this year’s BIRN Summer School in Bosnia and Herzegovina. US journalist Marty Kaiser, whose reporters were awarded three prestigious Pulitzer Prizes while he was an editor at the Milwaukee Journal Sentinel, said he started out in the profession in the hope of making positive changes and believes that investigative journalism can still achieve that goal. “I have worked on a number of stories that have saved babies’ lives. We looked at screenings that happened in hospitals; we looked at how blood tests were taken and when you save the lives of babies you understand the value,” Kaiser told BIRN. “We also looked at the laws regarding drunken driving in Wisconsin where I come from, which are so lax, we found that more than 200 people die from drunken driving and we told people something they don’t know so they can take action and make our communities a better place,” he added. 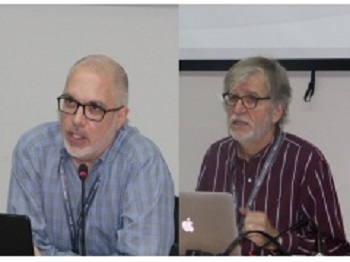 Kaiser was speaking in the town of Konjic in Bosnia and Herzegovina, where he was one of the lecturers at BIRN’s annual week-long Summer School for Investigative Journalism, alongside Blake Morrison, an editor for investigative projects at Reuters news agency in New York. Morrison cited an article about adoption which he worked on at Reuters as another example of how investigative reporting can make changes and even save lives. “I worked on a story which really made a difference, about children adopted from foreign countries and brought to the United States and then the parents decide they can’t care for those children for some reason, and then instead of making sure those children were cared for properly, those children were advertised online and given away,” he said. “I had a talented reporter who developed that story and it was extraordinary, the changes [that resulted], as the story literally saved the lives of children who were being abused and the persons she exposed are now in prison,” he added. Morrison told BIRN that he was attracted to journalism by the desire to ask people in power tough questions. “What I found is it’s very important as a journalist to represent the people. We represent readers. We represent people who depend on us to hold accountable people who are in office, who spend tax dollars, or people who run our countries,” he explained. “So part of our responsibility is to really ask them difficult questions, that people couldn’t be able to ask, perhaps because they don’t have access to those persons,” he added. Investigative research is often costly but the price is worth paying because society benefits from the truth being told, Kaiser argued. “This journalism is always expensive – the research, the time and effort that is needed. It’s a problem in the United States, and we are losing a battle as media companies reduce the number of reporters, but that makes it all the more important for editors and leaders to make tough decisions and say we have got to do stories that have impact,” he said. Morrison said that even more important than money was maintaining an investigative mindset. “Every day when I went to work, whether my title was investigative journalist, reporter, or whatever it was, I was an investigative journalist. My goal was to find out something that people didn’t want me to know or that they didn’t know,” he said. “It didn’t need a big budget, it needed my perseverance, my persistence and determination,” he added. After spending a week in Konjic, Morrison argued that investigative journalism is vital to countries going through periods of transition, such as Bosnia and Herzegovina. “Sometimes changes come slow for a society, but one of the first changes that needs to happen is that a society needs to be transparent and fair. Even if change doesn’t happen, the change that does happen is that we expose truth and that cannot be lost,” he said. Kaiser added that he was inspired by the young journalists he met who are working in difficult conditions in such societies. “When I see this situation, I realise how spoilt American journalists sometimes are. There is so much work here that journalists do to try and independently do reporting, separate from political parties and special interests, to give people the information they need to be free and self-governing,” he said.